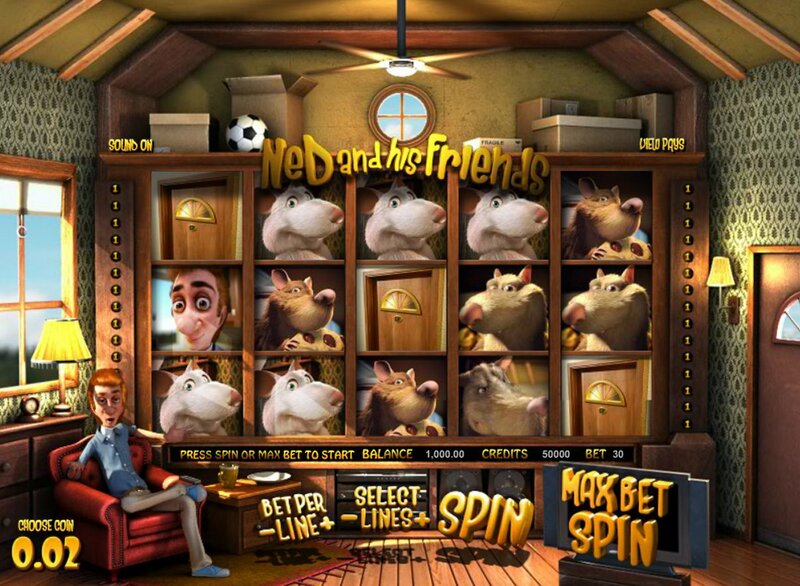 Some nice, regular wins and a gentle comedic tone – that’s what you get with slot developer Betsoft Gaming’s rodent-themed slot, Ned and His Friends. This slot from Betsoft sees a marriage between human and rodent once again (Sheriff Gaming touched on this with their medieval-themed slot, Ca$tle Mania, and its mice heroes) and it’s a fun ride while it lasts. Played out over 5 reels and 30 paylines, the games has bets starting at just $0.02 but there is a nice base game jackpot of 2,500x your line bet by hitting five titular Neds across the reels. On the reels, as well as Ned, we get all sorts of furry rodents (five different kinds) and a front door. In true Betsoft fashion, a nice little animated sequence plays out when you hit a winning combo (the rat scavenging behind the sofa for some cheese is a particularly nice one). You’ll hear singing rats throughout the base game who scurry about in and out of boxes. They are key to one of the game’s bonus features. Hit three or more of the white furry critters across the reels in any position and you’ll trigger a free spins round. 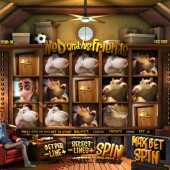 This is no ordinary free spins round, though: the rats will sing and dance for your pleasure as the reels spin. Oh, and the free spins are re-triggerable. There’s an instant win/Click Me game available too – just hit three or more mouse hole Scatters anywhere and choose one of the icons on the reels to reveal an instant prize. There’s more close-harmony rat goings-on when you hit three or more of Ned’s girlfriend on the reels. Ned’s hapless girlfriend passes out when she sees the rats in his house. The rats have to sing her a nice tune to bring her round – select a rat to perform the solo routine and see if it works! What I like about Betsoft is that they cater for everyone – there’s a wide range of betting and there’s a good example of lots of different bonus features. So, whether it’s free spins, a Click Me instant win or a Pick ‘em Bonus, there’s something for all players. If you loved this slot then you should also check out Betsoft Gaming's amusing Greedy Goblins slot.